It is a small pin made of titanium, which after placement in the bone takes over the functions of the natural root canal. 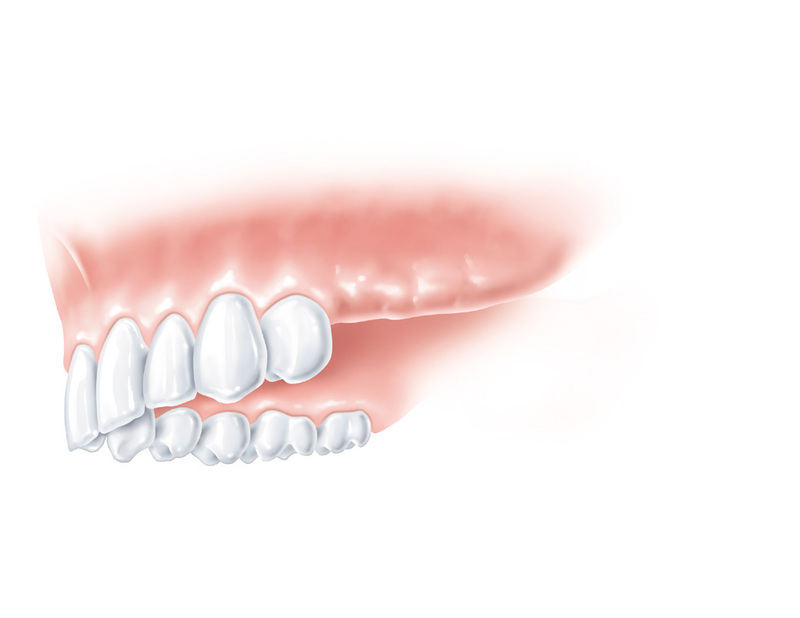 It is the best basis to settle restorations – crowns, bridges or dentures. 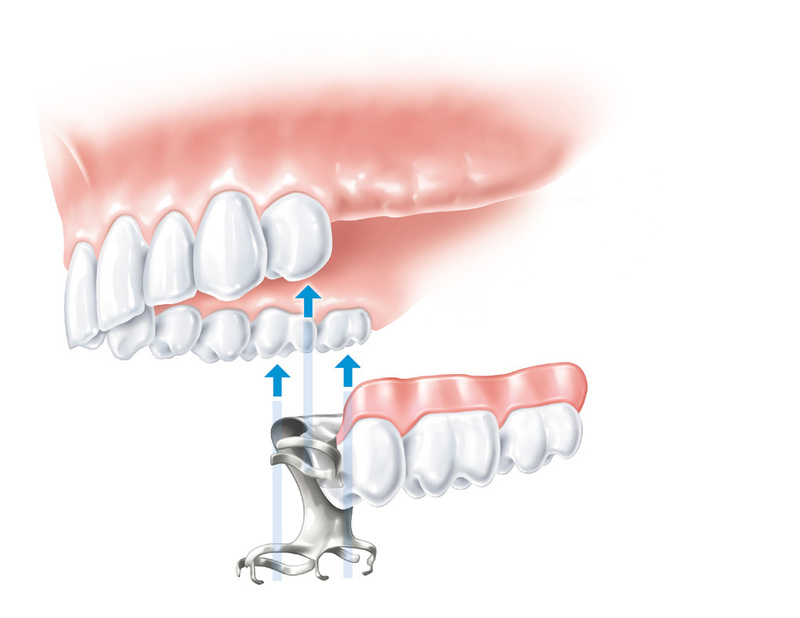 Prosthesis based on implants are very durable solution that gives a sense of comfort comparable to natural dentition. 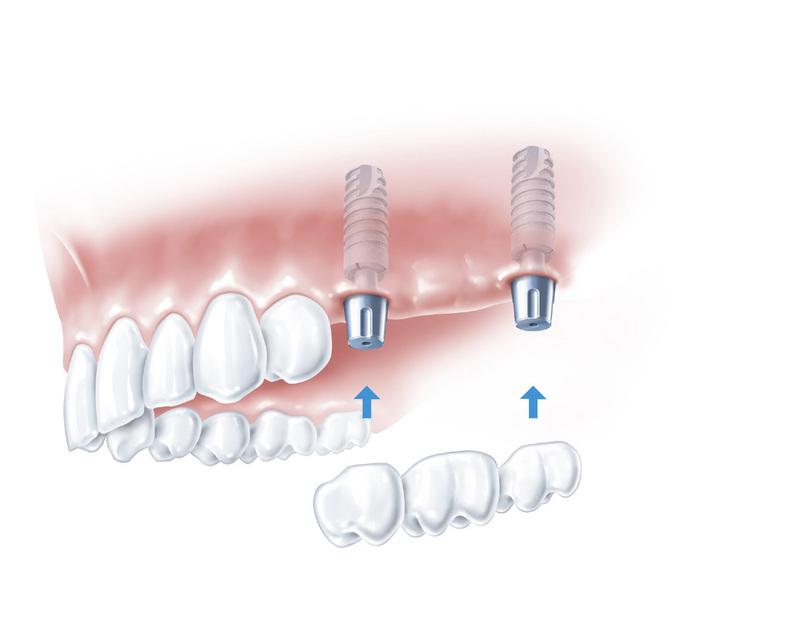 Many years of experience have made implant surgery is a safe and painless procedure. Today, the success rate of surgery is approx. 97%. – Eliminate the need for grinding your healthy teeth , preclude the possibility of many complications like: tooth fracture, inflammation and even necrosis of the pulp resulting from the excessive load. 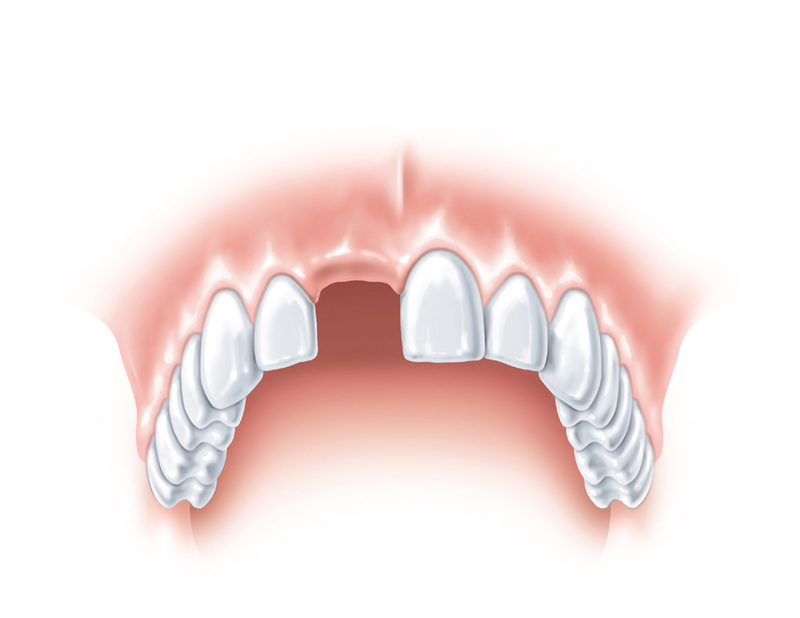 – In the traditional method during chewing polished teeth occlusal forces move missing teeth. In the long run this can lead to the loosening and periodontal atrophy. 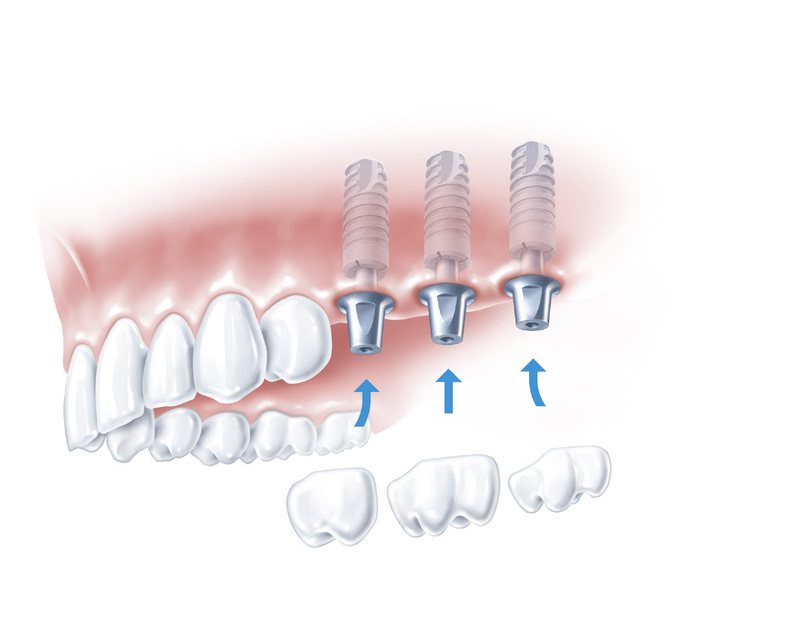 – Implants prevent the process of disappearance of the substrate skeleton. 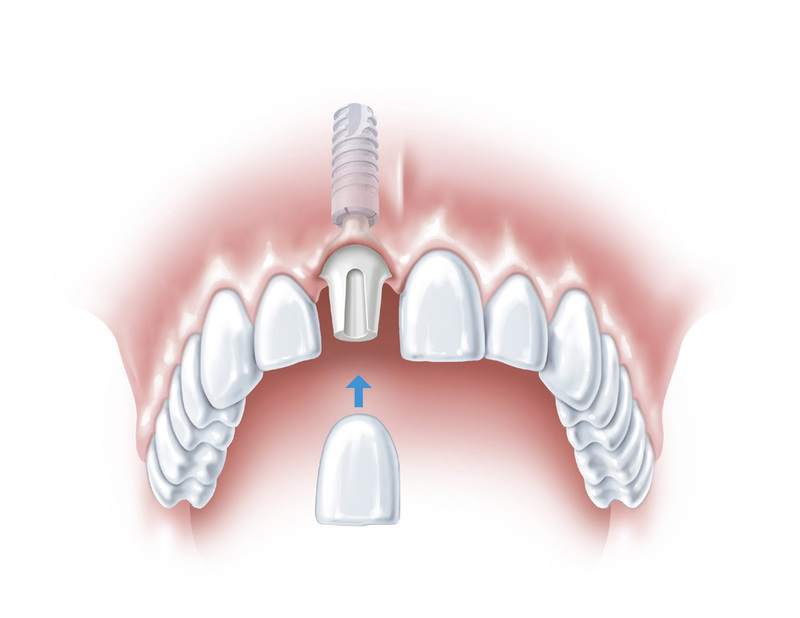 Porcelain crown on the implant, which has support on it is an optimal solution. 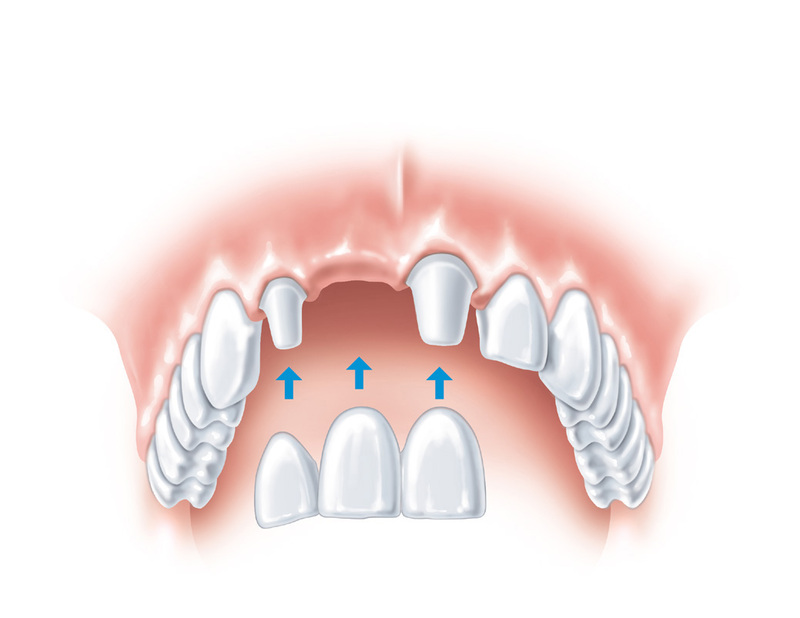 Traditionally, such a loss is supplemented by a bridge based on the adjacent teeth. In this case there is however the need for grinding of two healthy teeth. 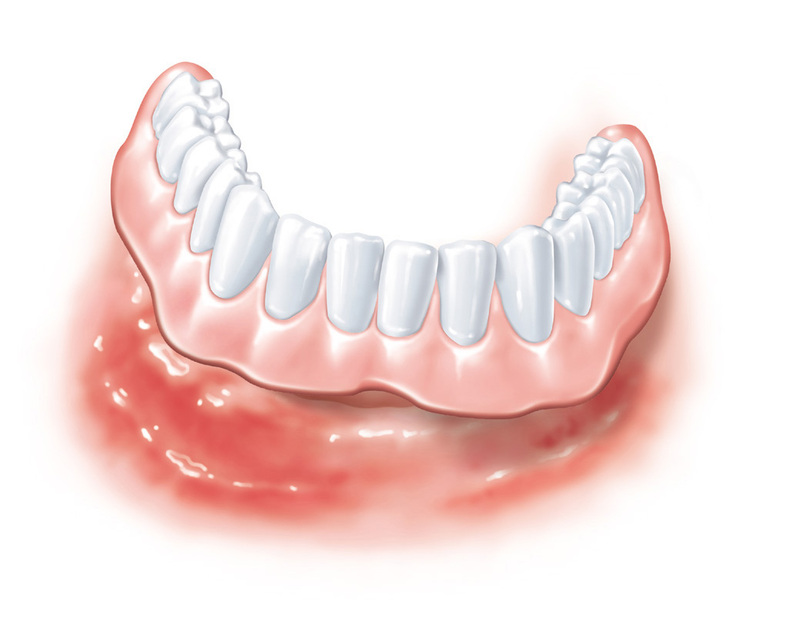 Complement removable: Special clamps maintain partial denture teeth. The highest level of visual and aesthetic provides a supplement based on single implants. Displacing the prosthesis can cause chronic inflammation of mucous membranes. 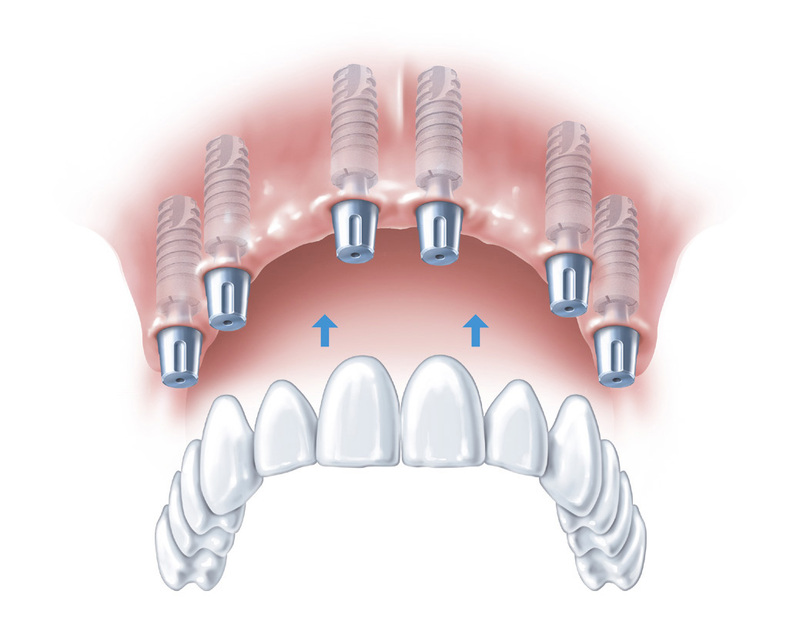 Bridge fixedly arranged on the six implants in the jaw is safe and practical solution. 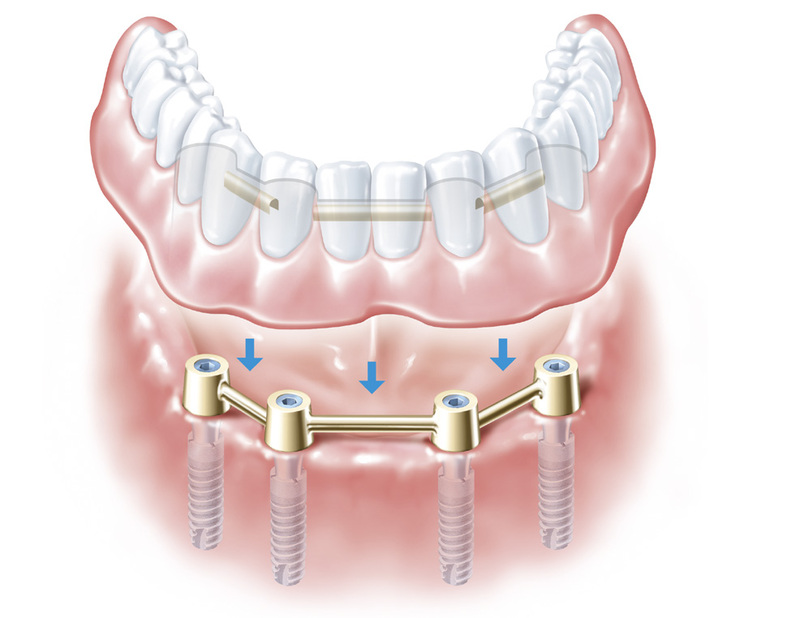 Removable prosthesis, while providing the highest level of safety and comfort: complete denture retained on the beam based on 4 implants in the lower jaw.